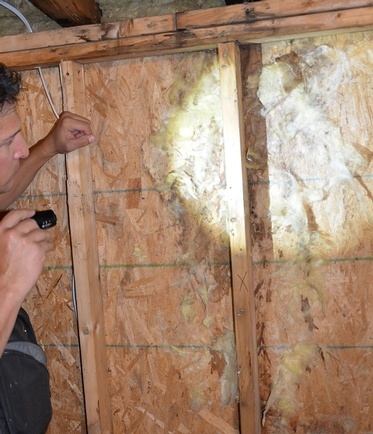 Asbestos Testing London, Ontario | Icon Home Inspections, Inc.
A dangerous carcinogen, once prevalent in home and commercial construction, asbestos is a fibrous material that can cause a number of serious health issues. That’s why it’s essential to have your home or commercial facility checked for asbestos by a qualified and experienced professional. At Icon Home Inspections, Inc. our Certified Home Inspectors in London, ON are dedicated to providing affordable, reliable and timely asbestos testing for residential and commercial clients. It’s a scary thought, but asbestos could be lodged anywhere from your floor tiles to your roofing. Why take chances with you or your family’s health when our team of Home Inspectors are ready to help. Home Inspectors at Icon Home Inspections, Inc. pride themselves on attention to detail and meticulous approach to ensuring your peace of mind in all we do. We are happy to answer any questions about our inspection methods and our findings. For more information about our Asbestos Testing Services, get in touch with our London Home Inspectors at Icon Home Inspections, Inc.